The shop in Elm Grove was originally intended as a trade showroom, but due to popular demand, the company have branched out to also supply to the public. 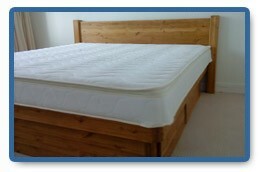 Back Care Beds are renowned for their low factory prices and their top quality products. 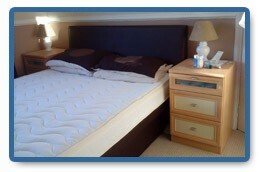 Find out more at our Adjustable Bed Blog Why not meet the team? 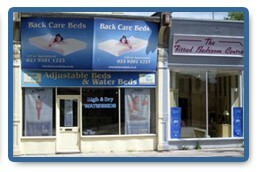 Originally started solely as a manufacturer of waterbed frames, it soon became clear that we needed a showroom to display our growing range. 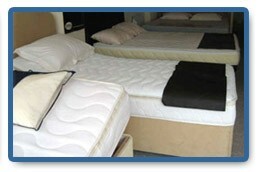 With increased interest from the public in 1992 ‘High and Dry Waterbeds’ established itself as a retail outlet, allowing High & Dry Manufacturing to focus on the development and supply of it’s range of products to UK waterbed retailers.